On a recent journey down south in England, we visited Bletchley Park National Codes Centre, famous for World War II codebreakers and the mathematical genius Alan Turing and his colleagues. The 2001 movie Enigma was filmed there, although that is a highly fictionalised account of the activities that took place there. We saw Enigma machines and the Colossus computer, took a tour of the grounds and later had a nice picnic outdoors. 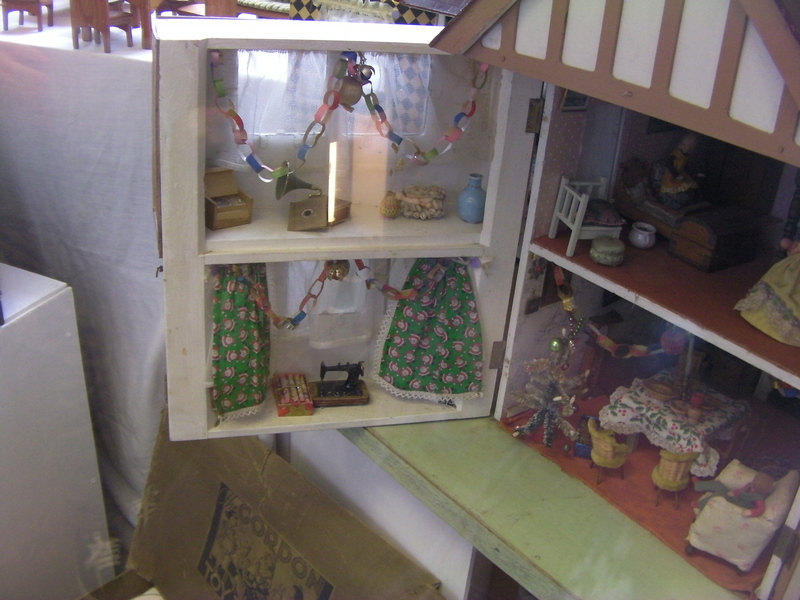 My husband loves computers, and my daughter and I are very interested in antique toys and household items. 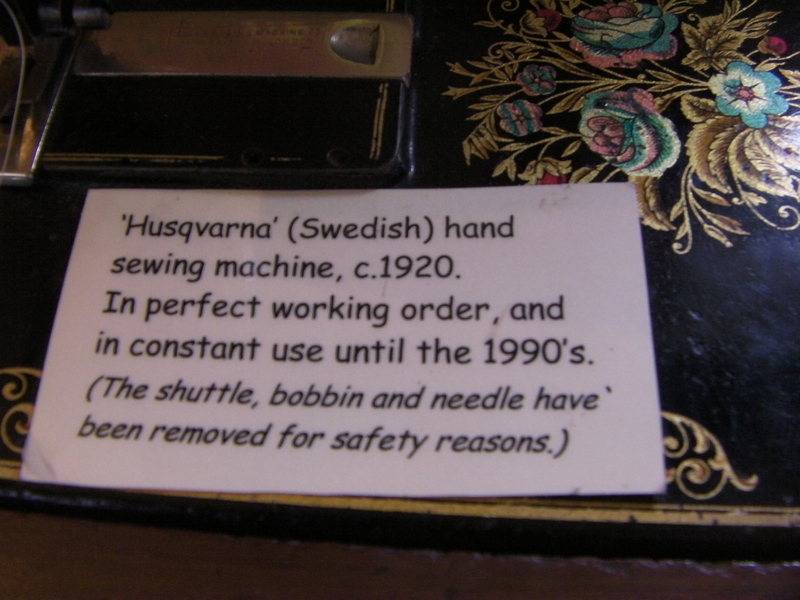 While he was off looking at other computers, we were thrilled to find this antique Husqvarna sewing machine from the 1920s in a little museum. The colours in the decals were still so bright and lovely. 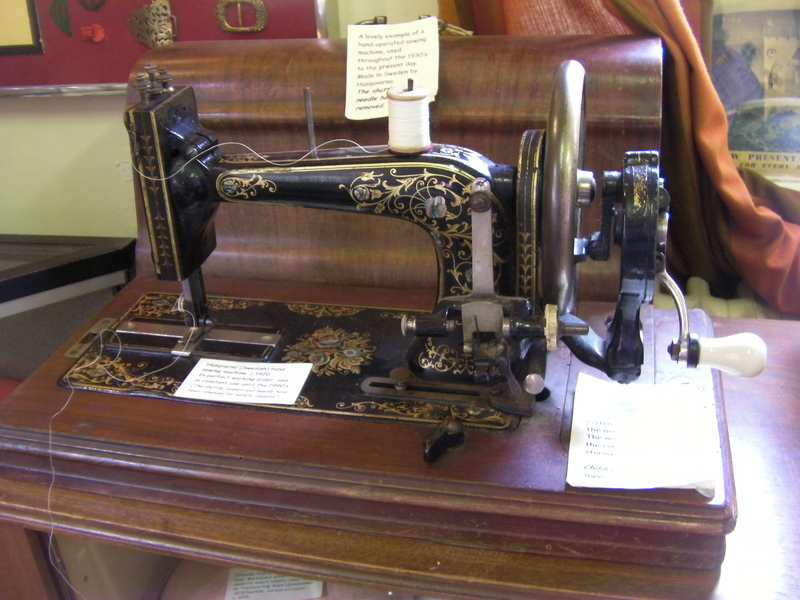 We were allowed to turn the handle, and the mechanism was smooth and silent! 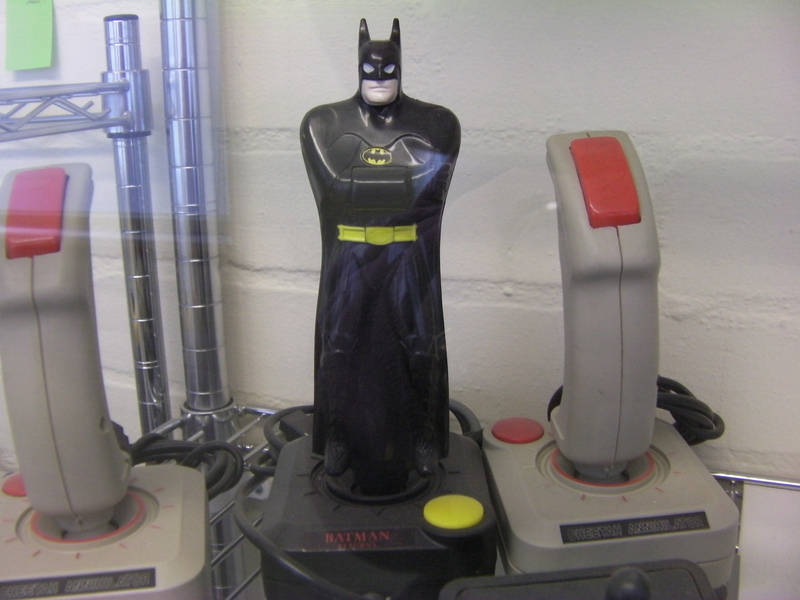 and a Batman joystick from an old computer games console! We really love Batman at our house! What fun places you got to visit. I’ve always been interested in WWII history, thanks to my dad. 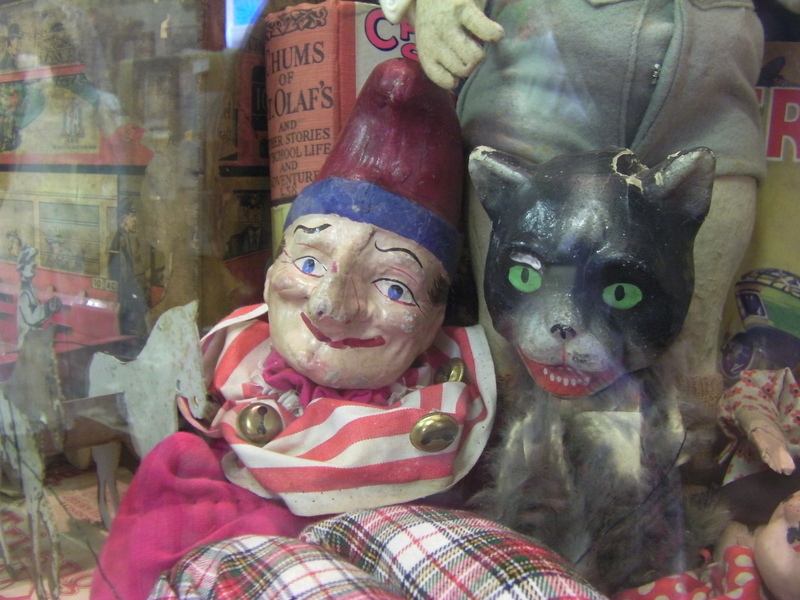 Love the pics from the other museum, too. My oldest son would just love that Batman. Hi Cheryl, there are so many nice places to visit in England! I love living here. 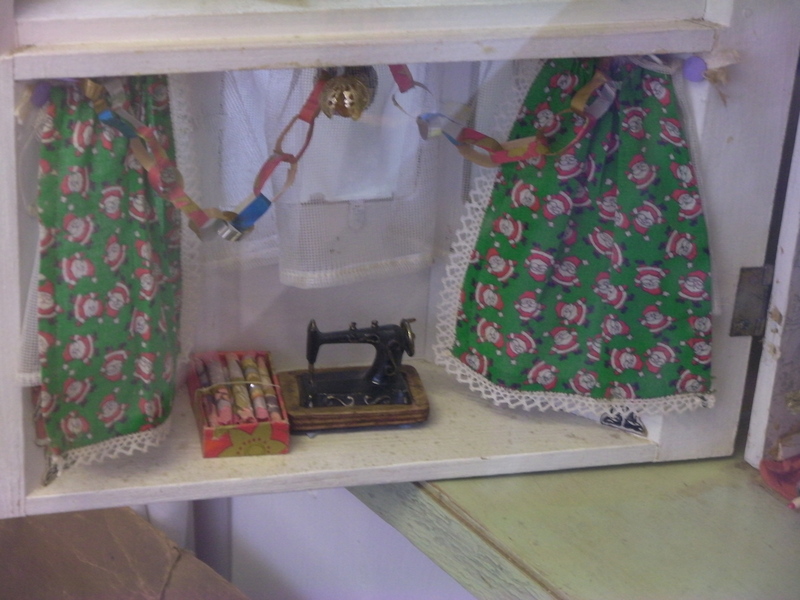 And if they have sewing machines there — well, that’s even better! 🙂 Take care.